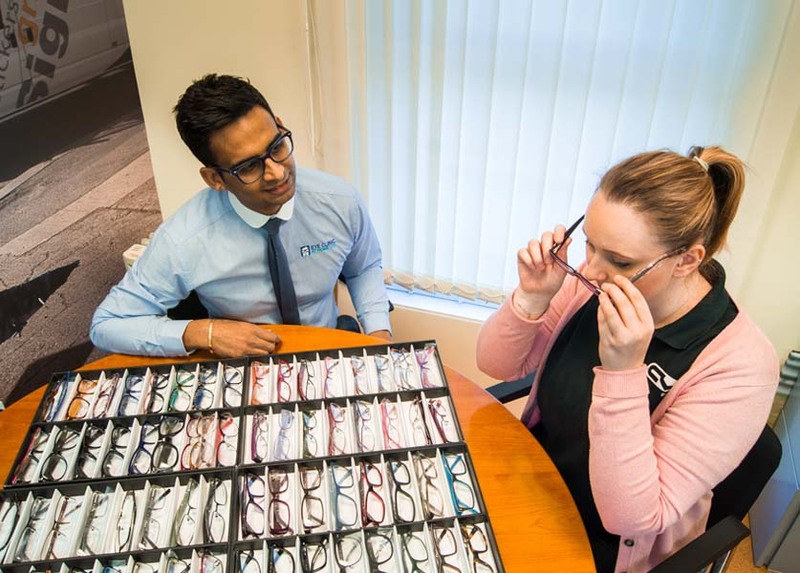 Following your eye examination, if spectacles or contact lenses are required, we will help you determine which frames and lenses are most suitable for your face shape and lifestyle. We have a wide selection of frames to choose from including low-priced glasses, modern lightweight frames and designer eyewear that we are able to offer at very affordable prices. If your spectacles cost more than your NHS optical voucher is worth, you will be required to make up the difference. We also have many corrective lens options, including bifocals, modern progressive power lenses (varifocals), photochromic (‘Transitions’ lenses that darken on exposure to specific types of light, such as UV), and ultra thin designs. Once the spectacles have been made up to your personal specification, they will be delivered directly to your home where we will adjust the frames to ensure they fit well.